Keeping pets or having children mean that you have to be a bit more concerned about any nook and corner of your home. However, this attention is same demanding for your corporate location. Whether you have pets or kids, your location is hosting place for friends and family or simple a busy home, each day your upholstered furniture is in a continuous workout. While there is a discussion about upholstery, one cannot ignore germs, pollens, food crumbs, dust, dirt, stains and blemishes. However, any of these cannot mean that the furniture is going to be dirty. In such situations, the Clean Expert provides you with the refreshing upholstery cleaning in London that can longer the life of your furniture and keep it in healthy and safe condition for a longer time. With our upholstery cleaning services, we guarantee for your furnishings clean and deepest stain removal with gentle and damage free cleaning detergents that would be safe for you as well as your entire family. With the help of natural and user-friendly cleaning materials we serve to give your carpet and upholstery a healthy, clean, fresh look. These processes are safe for your kids, pets and entire family’s health. Moreover, it dries faster and resists soiling again. Clean Expert is one of the most preferred and well-known upholstery and carpet cleaning company around the city. We use advanced cleaning technologies to completely remove all kinds of dirt, mug, allergens and stains from your soft furniture. 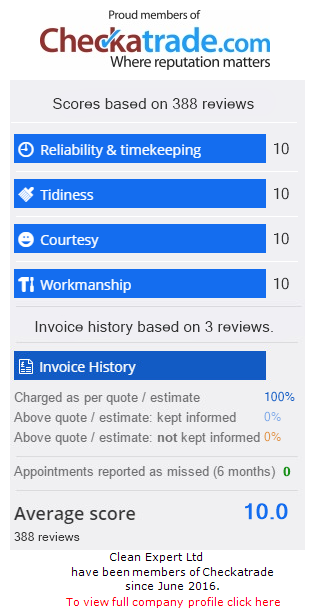 Thanks to our professionalism we manage to provide our customers only with fantastic results. For this reason our clients are not only home owners, but also huge companies that hold offices all around London. We even deal with cars. CleanExpert is a company prizes the professionalism and excellence in any task we have. That’s why we only work with complete professionals who have many years of experience in the field of expert upholstery and carpet cleaning. Our upholstery cleaners in London are fully vetted and insured, skillful and fully trained according to the latest cleaning trends and technologies. For any area of your home, we will provide you with a team that has specialised in this particular area, so you can be completely sure in the final results. Our service technicians are also friendly and polite, they will answer all your questions regarding the postservice upholstery maintenance. In order to keep your upholstery in its best condition, you should know how treat it after a professional upholstery cleaning service is provided. For your upholstery cleaning services in London, we are available all around the clock! Contact us on 074 6722 2537 or 020 3713 7718 and we will help you to book the most suitable service according to your individual needs – soft furniture upholstery or leather cleaning, for domestic or commercial property, according to the size of the job you need. We are also available to contact via our friendly booking form. So don’t hesitate to call us right away!